Even standing in front of this flock they were hard to distinguish. In flight they are lightning, in a marsh invisible. 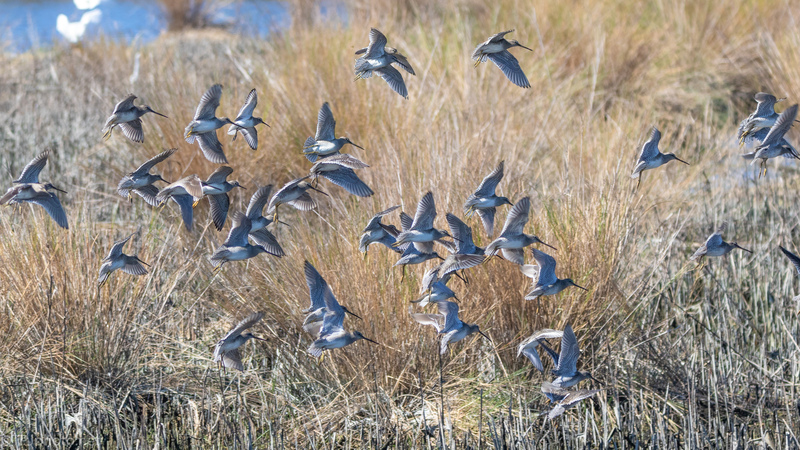 I believe most of them were Greater Yellowlegs. I’m shocked I was able to get them in focus (view large). Click, or double tap, any image below to view these fast birds. A larger view is the best way to see them. Thanks 🙂 I always ignore shots like that. Might need to rethink that.